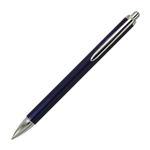 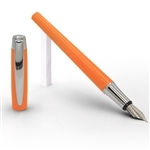 The SCHMIDT Basic writing instruments are available as Fountain Pen and Rollerball Pen. 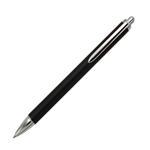 The SCHMIDT cartridge rollerball writes with standard ink cartridges and therefore offers a fluid and smooth writing feeling like a fountain pen. 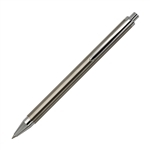 The fountain pen is equipped with a steel nib with Schmidt engraving. 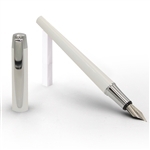 For decades SCHMIDT Technology has been developing and producing the finished fountain pen nib units for the most famous pen brands of the world. Now they are producing the entire fountain pen. 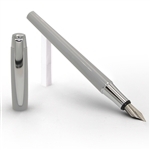 The SCHMIDT Fountain Pen is the perfect vehicle for their stellar stainless steel nib. 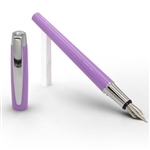 With a resin body it’s lightweight, simple, attractive and ready to provide the perfect writing experience every time.